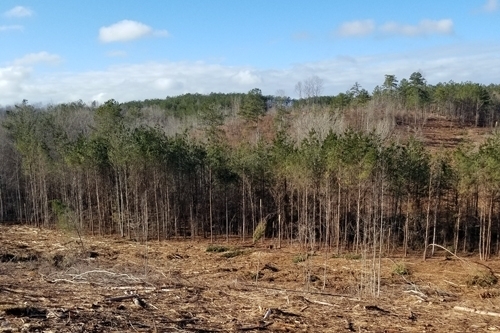 Ofelia Hills Tract, located in the hills of Randolph County near Lake Wedowee, is the perfect spot for a seeker of recreation, timber production or a secluded country cottage. Ofelia Hills Tract is located within the piedmont region of east-central Alabama and is on the edge of the southernmost reaches of Appalachia. This area features a gently rolling landscape of hills and valleys. The tract is bordered by privately owned timberlands to the north and south, with residential properties on the west side. The east side is bordered by land owned by Alabama Power Company, which in turn borders Lake Wedowee. As the “crow flies” Lake Wedowee is less than a quarter mile from the eastern boundary of the property. A boating access is located about 4 miles away on Alabama Highway 48. Access to the property is via a deeded easement off County Road 57, a paved county road. The single private gate opens to a woods road suitable for most vehicles in dry conditions, but may require 4-wheel drive when wet. The woodland has direct access to power, however county water is not available in this area. 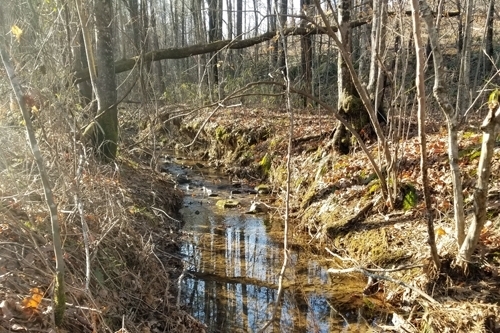 In conjunction with recent logging activity, an internal woods road has been constructed to access the inner reaches of the property and includes a rocked ford that serves as a crossing over one of the creeks on the tract. Ofelia Hills Tract is a compelling timber investment, recreational property, or residential option for either a home or vacation cabin. The terrain is primarily rolling hills, with elevation from approximately 795 feet to around 950 feet above sea level. Soils are dominated by Louisa stony sandy loam, which is quite suitable for timber production. 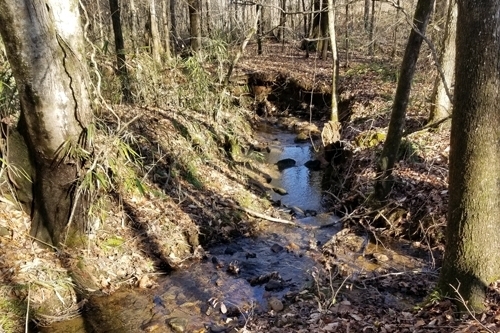 A system of creeks run throughout the property. The primary creek, which runs from west to east, holds water almost continuously. Since the tract has been recently harvested of timber, there are wide hilltop views. While the tracts proximity to Lake Wedowee suggests potential for future development, it is likely best suited for a single secluded hideaway. This area of the state provides quality deer hunting opportunity and there is plenty of evidence of them using the property. Turkey, rabbit and squirrel are also prevalent. Lake Wedowee (a ±10,000-acre reservoir) is just minutes away. The Tallapoosa River is easily accessible below the lake, providing excellent kayaking, and Talladega National Forest is within a 30-minute drive. 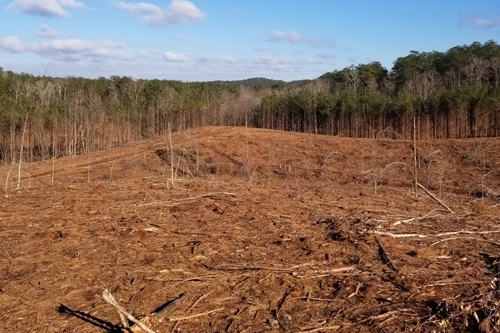 Recent harvesting has provided a clean slate for future planting options, while the 10 acres of hardwoods that were left provide opportunities for hunting or recreation.